The Internet had a field day when news broke that Taylor Swift and boyfriend Tom Hiddleston had broken up, this after just three months together. 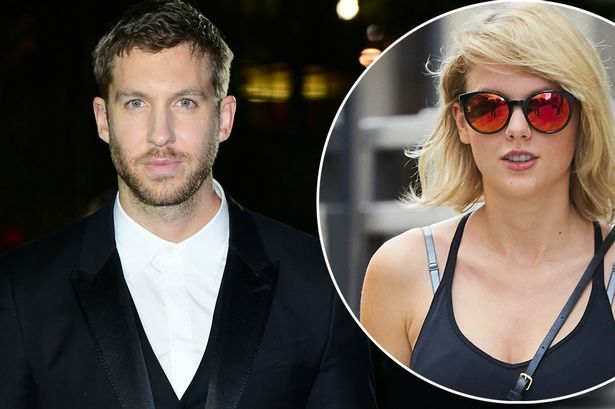 If one can recall, it was somewhere in June-July, barely two weeks after Swift dumped DJ boyfriend Calvin Harris, that she and Loki were spotted making out on the rocks, in all the right angles. Then, during her July 4 weekend star-studded bash, Hiddleston waded the ocean in a t-shirt that openly declared his love for Taylor, saying I *heart* TS. Of course, Robert Downey Jr. took a dig at his Avengers co-star by commenting that he was declaring his love for Tony Stark, Downey’s character in the hit Marvel franchise. Swift fans were quick to dub the new in-love couple as #HiddleSwift and that seemed to have pissed off her former flame, Harris, real name Adam Wiles. He immediately took to Twitter to hurl accusations at his ex-girlfriend, saying she used their relationship for publicity and also that she should move on, instead of still trying to have anything to do with him after she clearly moved on with the Hollywood hunk. This outburst happened after Swift took credit for Harris’ song of the summer with Rihanna, This Is What You Came For. Under the pseudonym Nils Sjoberg, TS had actually been the lyricist and wanted to make that clear to the public. At the same time as Calvin was going public with the bitter aftertaste in his mouth that was Taylor, Kanye West again decided to mock her in public, accompanied by his wife, Kim Kardashian. They released damning videos of Taylor of a conversation she had earlier denied being a part of, and Harris seemed to be taking Yeezy’s side in the matter. They even hung out together at JLo’s birthday bash for all the world to see.